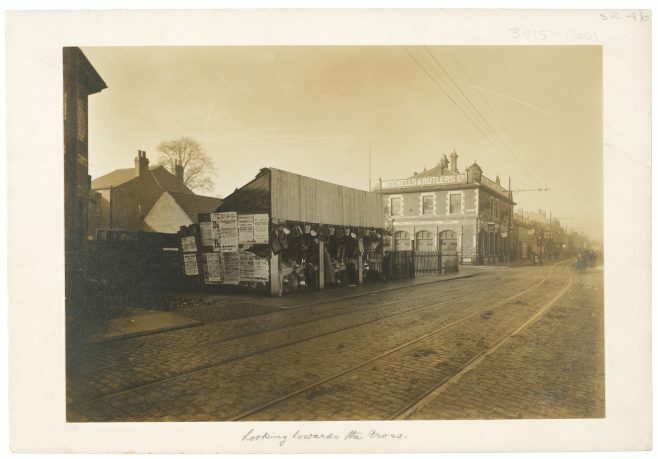 The two photographs below were taken on 12 December 1907 by someone standing on the northern side of Barton Street just to the east of the Vauxhall Inn. Note the tram lines across the middle of the road. You can see enlarged versions of the images by clicking on them. 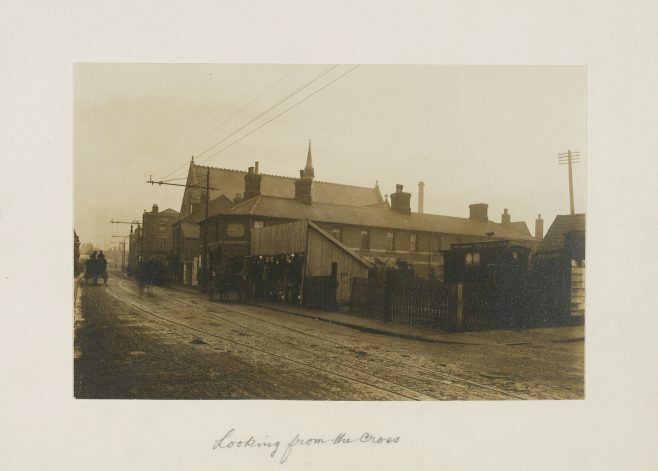 You may also be interested in this view of the buildings between the Blenheim Road junction and the Vauxhall, which shows what existed on the site before the Picturedrome Theatre was constructed. For a list of the properties between the Vauxhall Inn and Blenheim Road, see this page.